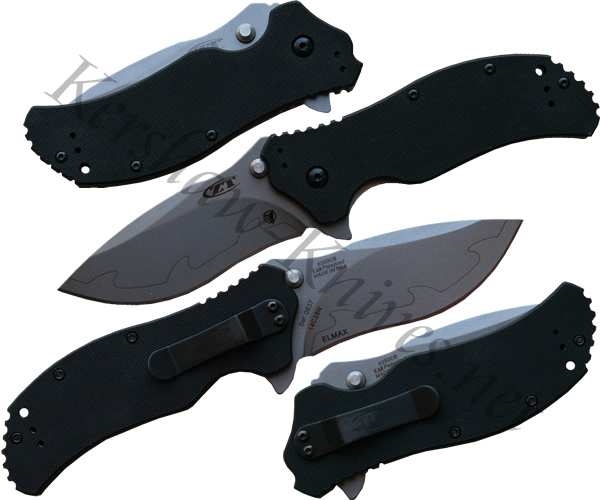 The Kershaw Zero Tolerance 0350CB knife is a limited production run where the blade is made of composite materials. El-max (chromium-vanadium-molybdenum alloyed steel) is installed on the leading edge of the blade where it offers its high corrosion resistance and edge retention. On the backbone of the blade is Sandvik 14C28N stainless steel. The handle is made of G-10, which offers good grip even in wet conditions. The pocket clip included with the Kershaw 0350CB can be mounted four different ways to accommodate your carrying style: left, right, tip-up, or tip-down.